The Wonga Park Dojo of the Japan Karate Association Australia teaches the traditional form of Shotokan Karate in Wonga Park. We are a branch of the Japan Karate Association, which is one of the largest Karate associations in the world. We teach in a traditional style, and remain true to the original teachings of karate. Would you like more information on hours, classes and programs available at JKA Wonga Park? Please contact the school with your questions. Update the details, Write a Review or Report Error of JKA Wonga Park. This Chart shows the Martial Arts Styles offered most in Wonga Park, Australia area. 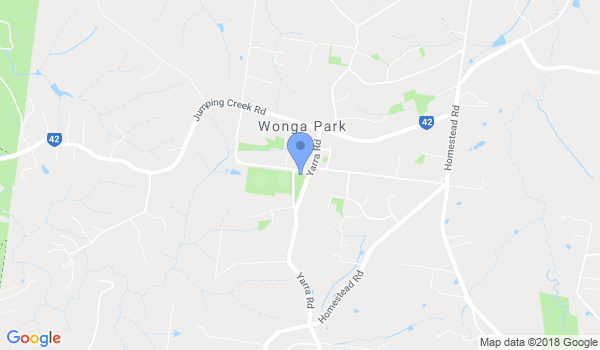 View a list of Dojo in Wonga Park, or enter your address below to find schools closest to you.